Example of the new look-and-feel of ESA's Planetary Science Archive (PSA) website, the online interface to data from the agency's space science missions that have been exploring planets, moons and other small bodies in the Solar System. Scientists can browse the archive by selecting a specific mission, instrument or instrument type, as well as by choosing a specific science target object – for example, all available observations (from any instrument) of Mars, the Moon or Comet 67P/Churyumov-Gerasimenko. 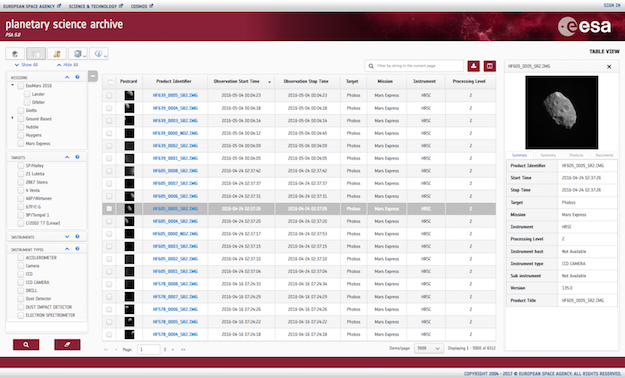 This new navigation feature enables cross-mission or cross-instrument searches through the archive. 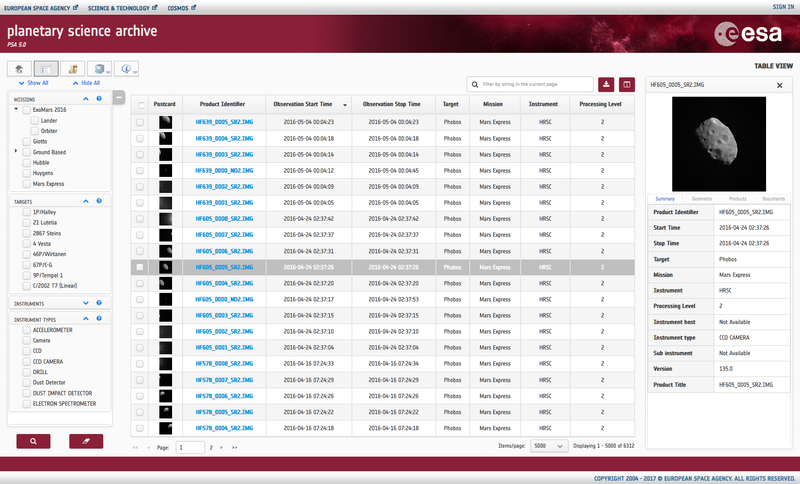 All of the data available from each mission can also be downloaded in bulk with a single click via the FTP function. Users can request observations from a specific period in time and choose between raw or calibrated data. In the case of observations performed with imaging instruments, the new interface displays thumbnail images to facilitate the selection.